Well, I'm now 8 and a half months into my weight loss, and am pleased to say I dropped another 3lbs this week, leaving me at a total weightloss of 3 stones and 12 pounds, 2 pounds to go until I've lose 4 stones. I'm so happy with that and really proud of myself. It has by no means been easy, but it's not as complicated and hard as I had it mapped out in my head. That's it! It really is that simple! 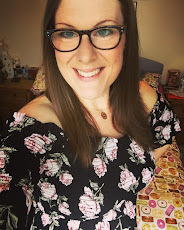 So although I don't look like the image below, I am at least nearly 4 stones lighter than I was, and well on my way to being much happier in my own skin. It is my Mumma's birthday!